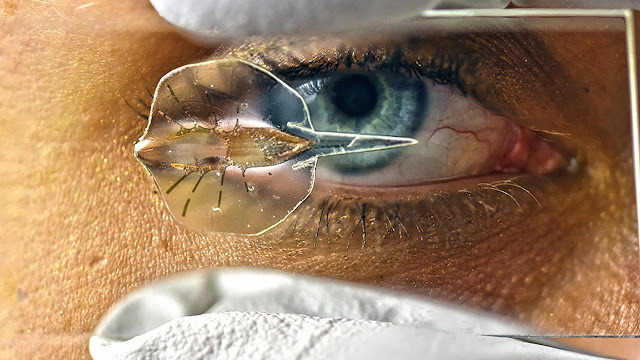 Bio-Hybrid Stingray Robot Made of Gold and Powered by Rat Heart Cells ! The future is here at last ! The scientists have made a robotic stingray that is powered by the heart cells of a rat ! It is a bio-mechanical robot. They have used gold with animal tissue to build their hybrid. It was the idea of Kit Parker, a respected bio-engineer of the Harvard University. 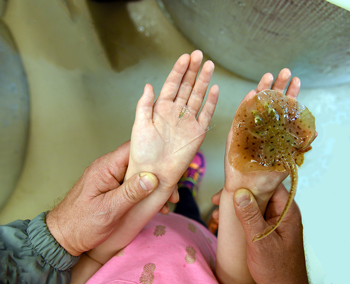 The idea flashed in his mind after watching a stingray gliding away gracefully from the hands of his little daughter while visiting a marine aquarium. Actually, Parker was not researching in some super cool sci-fi robots. His field of study was human heart. Yes, he wanted (and probably still wants) to make a working artificial human heart. Not that cool, is not it? The scientist planned to mimic the movements of a stingray with a machine made with bio materials to study heart cells better. That is why Parker and his fellow scientists have made the stingray model. He joined hands with John Dabiri of Stanford University. Dabiri is a genius who was also working to make a robotic jellyfish. Their joint effort produced the robot. That robot jellyfish could swim in the water without any problem. But the first model had a serious bug. It was an uncontrollable automatic machine. It swam randomly in the water. It can't be controlled or stopped. Such a robot is useless. So, Parker tried to make something better. The scientists deiced to use genetic engineering to make the rat heart cells light sensitive. The cells has formed artificial muscles of the robot. These will only be activated by light. So, the robot can be controlled with light. The machine is small. It is only 0.63 inches or 1.5 mm long. The weight of the thing is 0.35 ounces or 10 gm.The stingray bio-bot is a multilayered machine. The top most layer is made of surgery quality silicon cast in a titanium mold. It is the main container. The silicon skin is flexible and bendable just like a real ray. There is a gold skeleton just underneath. Gold is used to make it flexible. It will help to bounce the undulating movements of the "fin" muscles. Gold was also used for being one of the least reactive metal. It will be safer for the rat cells. There is another base layer of silicon. The rat heart cells are placed upon it. The silicon layer has special micro structures to arrange the cells to create required tissues. The rat cell layer is the most interesting thing of the sting ray. The cells are all alive and genetically altered. A technique named Optogenetics is used to make these cells light sensitive. The cells are arranged as muscle tissues. There are about 200K cells. The mechanism is rather simple. The biot is powered by the rat heart cells. When a light of a specific wavelength falls on the cells, these become active. It leads to the contraction of the "muscles". The muscles are arranged in such a way that a series of undulating movement is produced just like a real stingray. The natural flexibility of the silicon "skin" and the gold "skeleton" has also important rolls. The muscle movements help the robo-ray to swim in the water. It is controlled by LASER beams. The swimming direction of the thing can be altered by hitting the light beam to only one side. 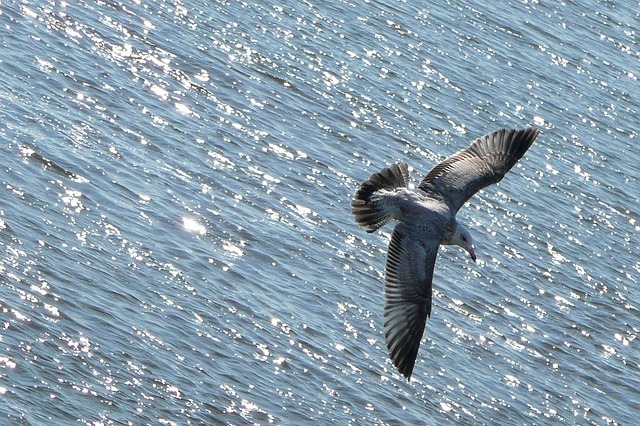 If the light falls on the right wing it will turn to the right direction. The robot is powered by the cells. The cells get energy from the nutrients mixed in the water. The experiment was successful to move the robot in a per-determined path. It swam at a speed of 0.006 in per second. Is It a Robot or an Animal? Does scientists have produced a new type of animal. Can we consider that thing as a living animal? According to Parker it is not an animal because it can't reproduce. It can't be considered as an animal but it was certainly alive. We can call it a biological robot. Why The Robotic Sting Ray is Important? Parker and team wants to develop a fully functional human heart at the lab. 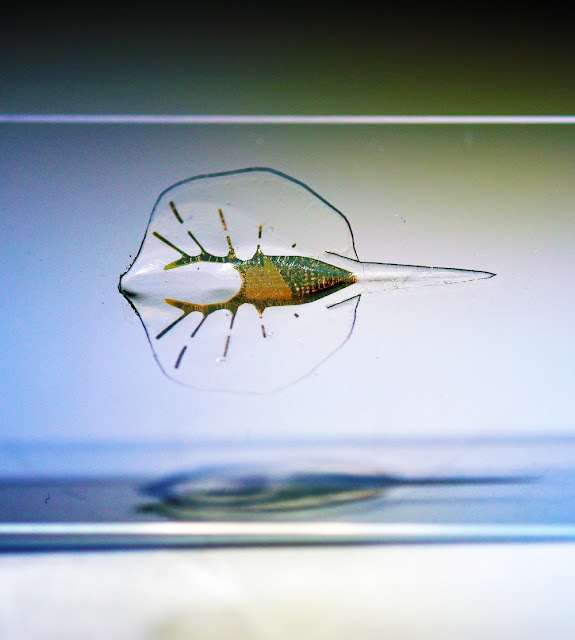 The robotic sting rays are made for that purpose only, to study the functions and workings of the heart muscles. These discovery can also lead to other important discoveries too. The bio-robot can be the very first step of a making completely independent, highly active super biots. What interesting new things can be invented based on it only time will tell. If you are interested then you can read about there project in detail from here. Photo Credit: Karaghen Hudson and Michael Rosnach.